In the afternoon of 26 November 2018, during his official visit in Hanoi, Vietnam, H.E. Deputy Prime Minister Prak Sokhonn paid a courtesy call on and held talk with H.E. 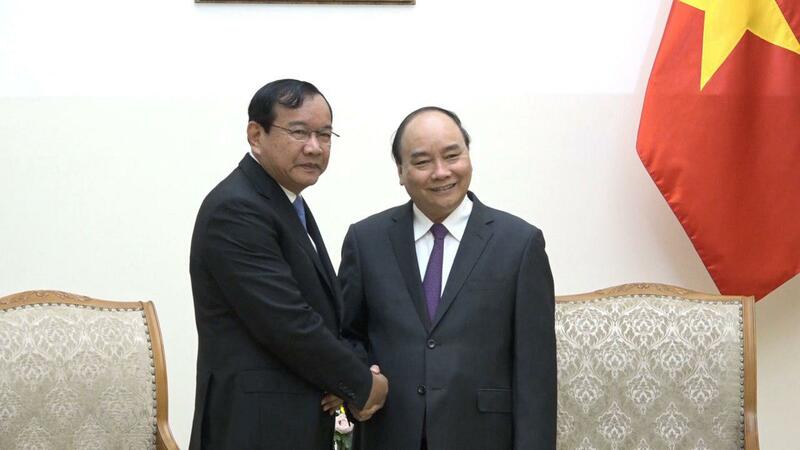 Mr. Nguyen Xuan Phuc, Prime Minister of the Socialist Republic of Vietnam.